Last year’s poor harvest of five commercial orders for large geostationary communications satellites proved even worse than 2017’s surprise low of just seven orders. Manufacturers continue to vie for fewer such contracts as satellite operators hold off buying new spacecraft while they wait for breakthrough advances in high-throughput technology and assess the potential of small-satellite constellations. Some orders expected in 2018 did not materialize. Viasat didn’t order the third ViaSat-3 satellite it needs to bring its terabit-per-second service to the Asia-Pacific region. AsiaSat is a year past when it said it would buy a modestly sized high-throughput satellite to put over China. And Spacecom canceled its Amos-8 satellite order with Maxar Technologies’ Space Systems Loral (SSL) just weeks after the Israeli government, fearing its state-owned manufacturer would shutter its communications satellite line, announced that Amos-8 would be built domestically instead. Ironically that lifeline for Israel Aerospace Industries may have also been the final nail in the coffin for SSL’s GEO comsat business. China Great Wall Industry Corp. also had framework agreements for a Cambodian satellite and two NigComSat satellites that have yet to convert into full contracts. Last year also saw two orders of geostationary small satellites, marking a departure from the ton spacecraft that telecom satellite operators normally place in 36,000-kilometer orbits. One of the bigger contracts expected in 2019 is Telesat LEO, a constellation of around 300 small telecom satellites. Telesat anticipates deciding between Airbus Defence and Space, the manufacturer of OneWeb’s constellation of 600 to 900 satellites, and a team comprising Thales Alenia Space and Maxar Technologies, though it hasn’t said how many satellites the winner will build. Here is our month-by-month look at how 2018 unfolded for commercial GEO satellite orders. Intelsat placed the first commercial GEO order of 2018 when it tapped Orbital ATK in January to build the first satellite in its Galaxy fleet replacement program. Galaxy-30 will be the 11th satellite built for Intelsat by Orbital ATK, which was absorbed by Northrop Grumman in June. With Galaxy-30, Intelsat is beginning a refresh of its Galaxy fleet, which consists of 13 satellites, 12 of which cover North America (the outlier is Galaxy-11, which covers Africa). Intelsat’s Galaxy fleet counts for roughly a quarter of the operator’s total constellation. Most came from acquiring Loral Space and Communications’ North America fleet 2004 and PanAmSat and its fleet in 2006. How many new satellites Intelsat will need to cover North America depends on how much C-band spectrum the U.S. Federal Communications Commission decides to reallocate for 5G, and what method it chooses. If the FCC chooses the satellite operator-led C-Band Alliance plan, Intelsat says it will buy four additional satellites from U.S. manufacturers to recoup lost spectrum. SES said it, too, would buy four U.S.-built satellites for the same reason. The promise by Intelsat and SES — the two largest geostationary satellite operators in the world — to buy American satellites if the C-Band Alliance plan is accepted is a small detail in a larger spectrum plan, but one that gained substantial attention among satellite manufacturers. 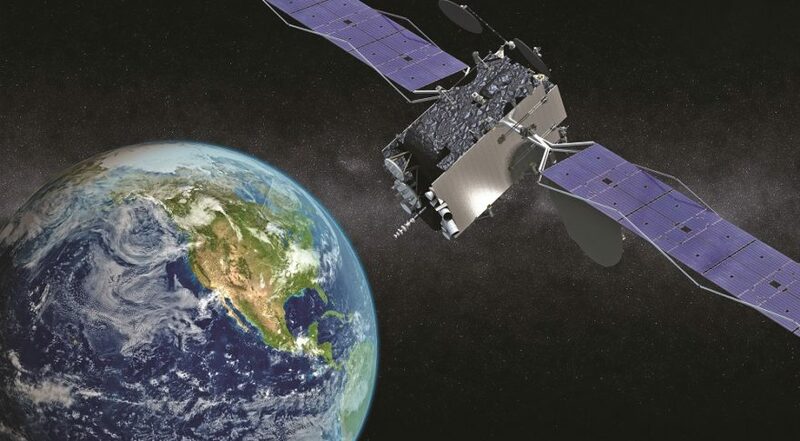 Northrop Grumman wrote to the FCC encouraging adoption of the C-Band Alliance plan, saying it would “boost American productivity and job growth.” Boeing and Maxar Technologies wrote similar praise of the plan. Galaxy-30 will carry C-, Ku- and Kaband payloads. Arianespace is scheduled to launch the satellite in 2020 on an Ariane 5 rocket with Northrop Grumman’s satellite-servicing Mission Extension Vehicle 2. 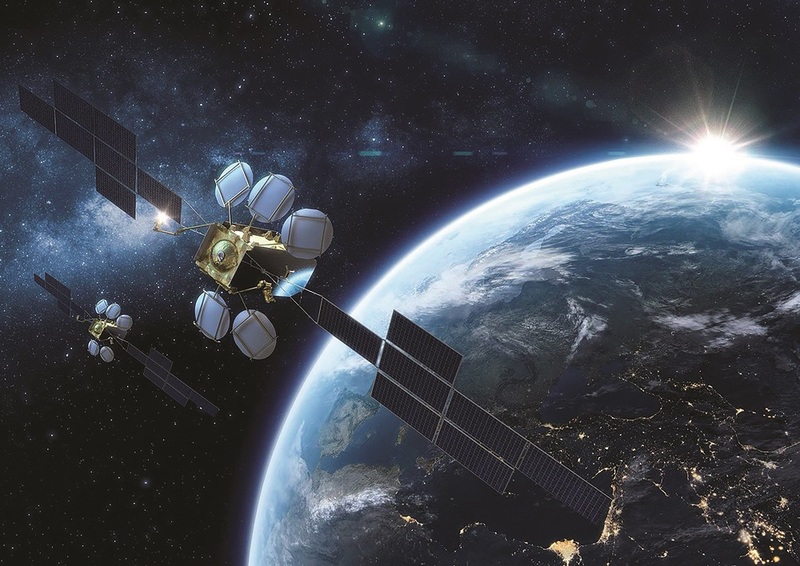 Israeli satellite operator Spacecom planned to spend the past three years growing its fleet with new coverage and capacity. Instead it’s been trying to reconstitute its fleet after losing one satellite in orbit and another on the ground. In 2015, a power system failure knocked Spacecom’s Amos-5 satellite out of service after just four years in orbit. Amos-6 was destroyed 10 months later when its Falcon 9 rocket exploded on the launch pad during a fueling procedure. Spacecom bought the Amos-17 satellite from Boeing in 2016 as a replacement for Amos-5, and then, citing speed to market, bought Amos-8 from SSL in March 2018. Those repeat overseas purchases filled gaps for Spacecom, but triggered alarm over the creation of a new one at home — without Spacecom’s business, state-owned manufacturer Israel Aerospace Industries faced a shut down of its GEO communications satellite line. 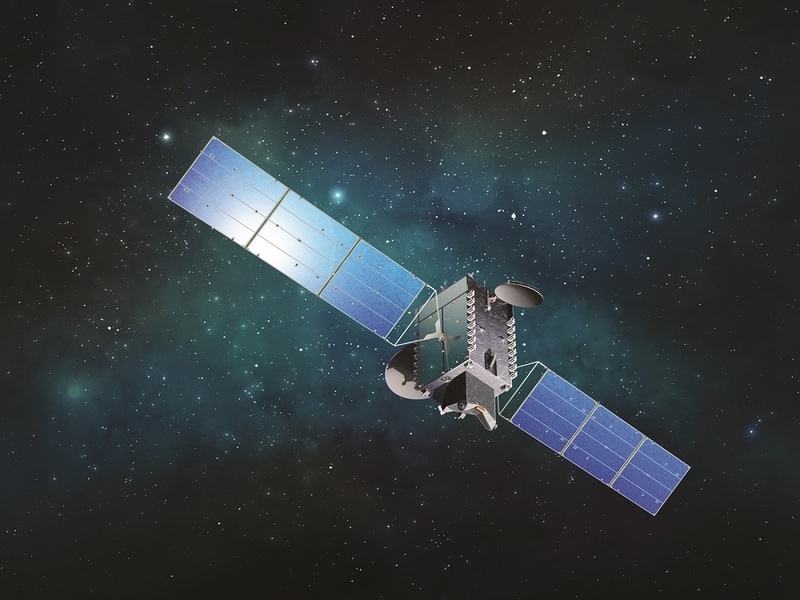 A month after agreeing to buying Amos-8 from SSL, the Israeli government informed Spacecom of its intent to order a satellite from IAI and place it in the same orbital hot spot as most of Spacecom’s fleet. In September, Israel’s Ministry of Science and Technology announced that Amos-8 will be built in Israel with government financial support. Spacecom terminated its contract with SSL three weeks later. Spacecom has not said how Amos-8 will come together. A company official said in October that Spacecom was in discussions with IAI about the satellite. In the meantime, Spacecom has been borrowing AsiaSat-8 from Hong Kong-based AsiaSat to fill the void where Amos-6 was supposed to be. Without a clear path to a replacement, Spacecom will likely need to commit to borrowing AsiaSat-8 beyond 2020, which is longer than Spacecom intended. Japanese satellite operator BSAT turned to SSL a second time with its order for the BSAT-4b satellite. In preparation for the 2020 Summer Olympics in Tokyo, BSAT ordered the satellite to bring additional capacity and backup BSAT-4a, another SSL-built satellite that launched on an Ariane 5 in 2017. SSL’s success with BSAT marks a departure for the Tokyo based operator, whose prior three satellites were all from Lockheed Martin. BSAT-4b, like BSAT-4a, is designed to support Ultra-HD broadcasts in 4K, which have four times the resolution of HD, and 8K, which has 16 times higher resolution than HD. NHK, Japan’s public broadcaster known for pushing the envelope on viewing standards, is BSAT’s largest shareholder with a 49.9 percent stake. In December, NHK kicked off what it called the world’s first 8K broadcasting service with the launch of two 8K television channels. In what was arguably the most surprising order of the year, Eutelsat purchased one of the highest throughput satellites ever ordered just weeks after partner Viasat had stressed that the two companies were close to finalizing joint venture details that included splitting the cost of a ViaSat-3 satellite covering Europe, the Middle East and Africa — a contiguous market known as EMEA. 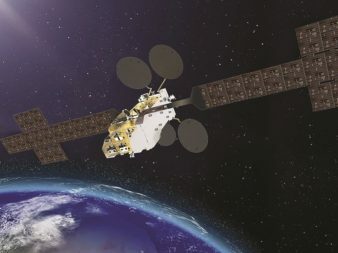 Instead Eutelsat broke rank, choosing to go it alone on the Konnect Very High Throughput Satellite (VHTS) it ordered from Thales Alenia Space to serve Europe. Konnect VHTS will have 500 gigabits per second of total capacity. While that’s half the capacity planned for ViaSat-3 EMEA, it will all be concentrated on Europe — a decision Eutelsat sees as an advantage in what will now be a competition between the two former partners for the European satellite broadband market. Eutelsat is positioned to gain a first mover advantage over ViaSat-3 EMEA. CEO Rodolphe Belmer said Eutelsat would consider steering some beams from its upcoming 75-Gbps Konnect satellite to Europe from Africa when it enters service in 2020. That move would warm the market ahead of the arrival of Konnect VHTS over Europe with 500 Gbps of capacity in 2021. Viasat, meanwhile, has grown coy about which ViaSat-3 satellite it will launch first. The company has two under construction with Boeing: one for the Americas and one for the EMEA region. Though the expectation is that Viasat would place the first terabit-per-second ViaSat-3 satellite over the Americas, the company has left open the possibility of a surprise shift to EMEA, should it want to ramp business there sooner. Viasat expects to launch its first ViaSat-3 satellite in 2020 on either a SpaceX Falcon Heavy, an Arianespace Ariane 5 or a United Launch Alliance Atlas 5, having signed contracts for one launch with each, but without specifying mission order. GapSat-1 is a geostationary communications satellite, but similarities with other such spacecraft end there. Hong Kong-based GapSat has not given many details about the satellite, but its manufacturer is Terran Orbital, a company that builds cubesats and smallsats. GapSat-1 is a small satellite that will carry telecom payloads in C-, Ku- and Ka-band as well as the largely experimental Q- and V-bands. Thanks to the small size of the satellite, GapSat said it should fill all its capacity with customers quickly. GapSat has not stated the mass of the satellite, its launch provider or design life. GapSat-1 is scheduled to launch in the third quarter of 2020 on a direct-to-GEO mission. As the third largest geostationary fleet operator with 37 satellites, Eutelsat has to regularly buy replacement satellites, even when in a season of limited spending. Eutelsat’s replacement strategy for its Hotbird fleet is the company’s poster child for how to save money while still investing in new assets. Eutelsat is allocating 400 million euros a year for capital expenditures, such as new satellites, from July 2017 to June 2020, down from 500 million euros. Under an agreement first announced in August and finalized in November, Airbus Defence and Space will build two Hotbird satellites that together will do the job of the three Hotbird satellites Eutelsat currently has in orbit. Hotbird is Eutelsat’s most valuable broadcast platform, reaching viewers in Europe, the Middle East and Africa with more than 1,000 television channels. The two all-electric satellites are planned to enter service in 2022 after reaching orbit in 2021. For Airbus, the contract marks its first win with Eurostar Neo, a platform designed with the European Space Agency to be significantly cheaper than other current satellites and help keep European manufacturers competitive on the global market. Airbus and Thales Alenia Space are both marketing Neosat platforms that were supported by ESA, along with individual European space agencies, notably those of France and the United Kingdom. Even with Maxar on the verge of divesting from the geostationary communications satellite business, its SSL division still clinched an order for one such satellite, albeit a small one. Swedish startup Ovzon signed a contract for a telecom satellite that will use the SSL500, a small-satellite platform. Similar to Terran Orbital’s GapSat-1 contract, SSL’s contract for Ovzon-3 is for a satellite much smaller than the multi-ton behemoths normal across the industry. Most of SSL’s GEO comsat orders use its SSL-1300 platform, which generally supports satellites between 3,000 and 7,000 kilograms. The SSL500 platform being used for Ovzon-3 is only big enough to carry up to 250 kilograms of payload. Ovzon’s contract is conditional on fully financing the satellite, which is expected to cost $166 million, including launch and insurance. The company arranged a launch with SpaceX aboard a Falcon Heavy, though the small size of the satellite suggests Ovzon won’t be the only payload on that 2021 mission. Ovzon-3 is Ovzon’s first satellite. The company has leased capacity from Intelsat, SES and Eutelsat across five other satellites, but has aspirations for global coverage with its own fleet. Ovzon-3 will expand the company’s leased coverage over the Middle East, Europe and Northern Africa.